American Freight Solutions works with some of the most reliable LTL carriers to bring you the best in LTL shipping. Located in Chicago, Illinois, we are uniquely situated to provide both standard road transportation as well as intermodal shipping. Simply let us know what your needs include and we will guide you through your options. 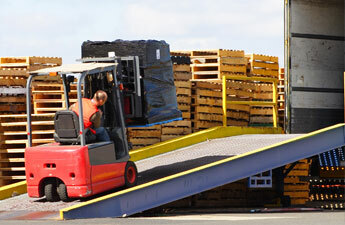 We have relationships with traditional LTL carriers, giving us access to discounted prices. AFS has discount agreements with both nationwide and regional carriers, serving several coverage areas that you might not find with another single LTL carrier. Many of the LTL carriers we work with cater to niche lanes, allowing you to choose the best for your needs. These LTL carriers allow your freight to be delivered with less handling and faster transit times than traditional carriers. Even if you aren't sure which carrier is your best option, our friendly staff is happy to help.